American clothing label Everlane has announced it will remove all virgin plastic from its supply chain by 2021, to help counter the "global plastics crisis", starting with its shipping bags. Everlane has pledged that its apparel, footwear, accessories will be free of virgin plastic in three years time – a week after the United Nations' Intergovernmental Panel on Climate Change (IPCC) announced that the global community has just 12 years to prevent environmental catastrophe. The fashion brand first plans to replace bags made from newly-manufactured plastics, which are currently used to ship products, with versions created using 100 per cent post-consumer recycled plastic next year. The use of virgin plastics has become a critical environmental concern, with items piling up in refuse sites and collecting in the oceans. "This year alone, an additional 400 million tons of plastic has been produced," said a statement from Everlane. "More than eight billion tons of plastic is currently polluting the oceans, clogging landfills and destroying the planet." The retailer is therefore phasing out the material, swapping it for recycled alternatives in all of its products containing synthetic fibres, as well as packaging, offices and stores. Also part of Everlane's initiative is a new collection, set to launch next week, titled Renew. 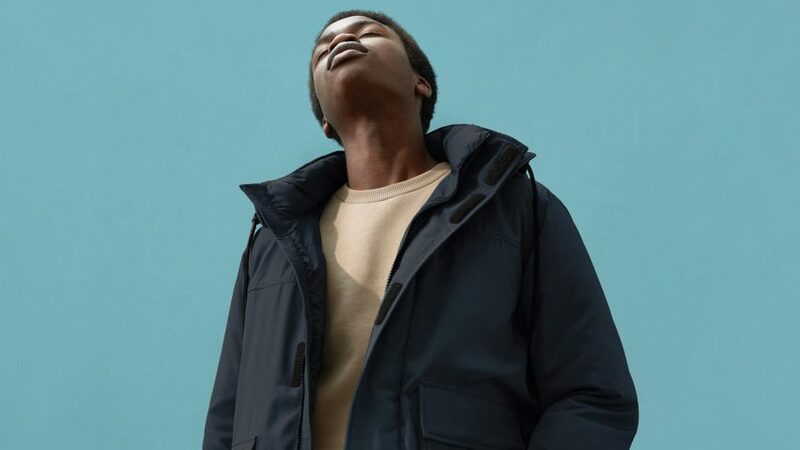 The initial offering of puffers, parkas and fleece sweaters will be made from three million recycled plastic bottles. "Within five years, 100 million plastic bottles will have been recycled through the Renew initiative," said Everlane. First launched in 2010 as an online clothing retailer, the direct-to-consumer fashion brand headquartered in San Francisco promotes ethical manufacturing and transparent pricing. Recycled plastic "will soon be the only choice"
After building a successful online platform as well as a series of pop-ups, Everlane has also created two brick-and-mortar stores in San Francisco and New York City. Founder and chief executive officer Michael Preysman believes that companies have a responsibility to create a more sustainable and waste-free future. "Any company that hasn't made this commitment is actively choosing to not improve our environment," said Preysman. "Plastic is destroying our planet and there is only one solution: stop creating virgin plastic and renew what's already here." This sentiment was recently echoed by designer Nicolas Roope, who urged other creatives to take action against climate change in the wake of the United Nations report. Dezeen is also hosting a talk tomorrow during Dutch Design Week, which will ask if design can prevent global catastrophe. Everlane's other socially minded initiatives include a denim collection launched in 2017, which was made at a factory that recycles 98 per cent of its water, runs on alternative energy, and repurposes byproducts to make bricks for affordable housing. This year, the brand also revamped its silk ￼supply chain with a line called Clean Silk, produced at a LEED (Leadership in Energy and Environmental Design) and Bluesign-certified factory in China. By 2021, Everlane intends all its silk to be grown using regenerative farming, and by 2022, the fabric will be dyed and washed with 100 per cent recycled water and 100 per cent renewable energy. Several other companies have announced environmental pledges over the past year. IKEA similarly plans to remove all single-use plastics from its product range by 2020, while Carlsberg will replace its plastic ring can holders with recyclable glue, and PG Tips will switch to biodegradable tea bags.